Sonamarg, a town surrounded by breathtaking glaciers and serene lakes, is a snow covered beautiful flower-laden meadow in the majestic Himalayan mountain region. 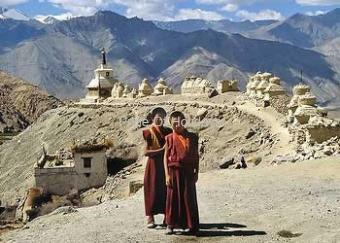 Sonamarg in the Kashmir valley is the gateway to Ladakh and situated just before the Zojii La pass. Sonamarg or Sonmarg, located at a hefty altitude of 2,740 m above sea level, literally means 'Meadow of Gold'. The picturesque natural beauty of the region brought this name to Sonamarg. Sonamarg, a town surrounded by breathtaking glaciers and serene lakes, is a snow covered beautiful flower-laden meadow in the majestic Himalayan mountain region. Sonamarg in the Kashmir valley is the gateway to Ladakh and situated just before the Zojii La pass. 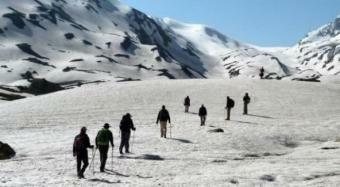 Located at 87 km from Srinagar, the place is renowned for trekking and hiking trails. The snow clad peaks in the Himalaya and the undulated hilly mountainous regions are perfectly suitable for all types of trekking expeditions. 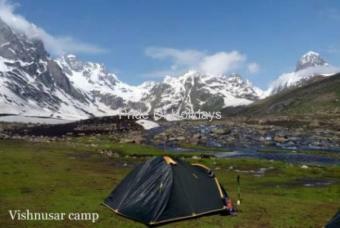 Sonamarg is the base camp for many trekking expeditions. The major treks passing through various mountain lakes such as Gangabal, Vishansar, Gadsar, Satsar and Kishansar has its base at Sonamarg. The trekking routes offer all types of challenges, from mild to most hard. 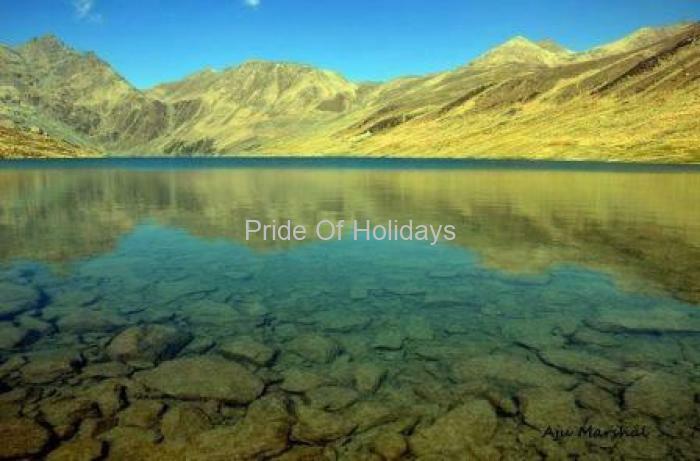 The pleasant climate with mild summer and cold winter make this place an ideal location for trekkers to explore the natural beauty and challenging treks. This enchanting scenic place is amazing with many mind blowing attractions. Nilagrad, a colony of the Baltics, is a picturesque location where a small stream splashes in to the River Sindh. Sonamarg is the home of many beautiful and serene lakes. Various mountain lakes such as Gangabal, Vishansar, Gadsar, Satsar and Kishansar are situated in and around Sonamarg. 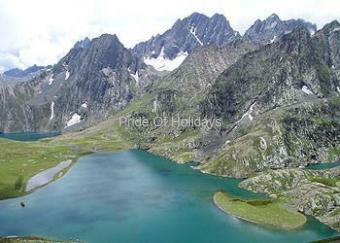 Vishansar, located at an amazing altitude of 4,084 m above sea level, is a scenic eye catching lake in Sonamarg. 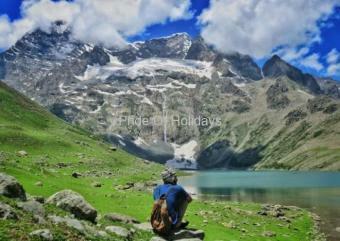 The crystal clear water of the lake with ice flakes all through is an appealing view from the top of the Sonamarg. The gorgeous views of this lake can be experienced from Nichnai Pass. Trekking freaks can get into their trek to this lake from Sonamarg. 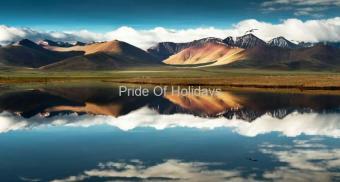 Krishnasar Lake, at a height of 3,801m above sea level, is popular for fishing especially for trout fishing.